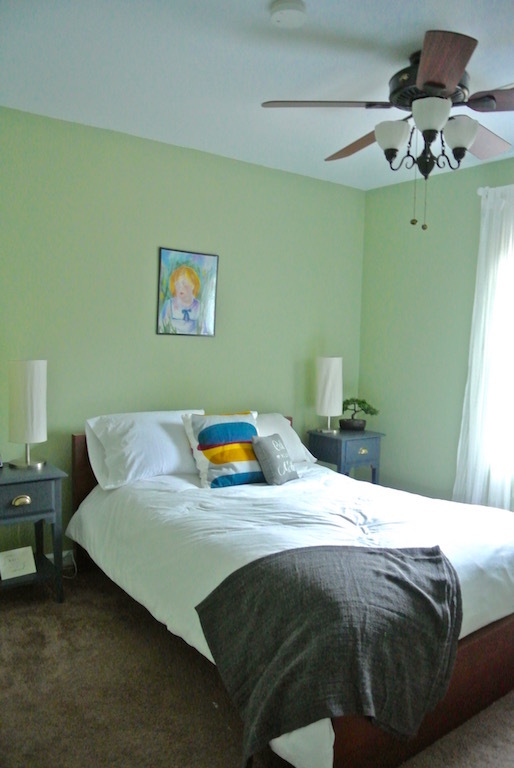 Welcome to our guest room - the very first room we worked on in our humble little home. If you look at the first couple photos, you'll notice the slap-brush textured ceilings. We just couldn't stand the cobwebs they gathered and shadows they cast, so we knew they had to go. It was quite the process (not nearly as simple as popcorn texture), but after several rooms, Tom has become quite the pro at it. 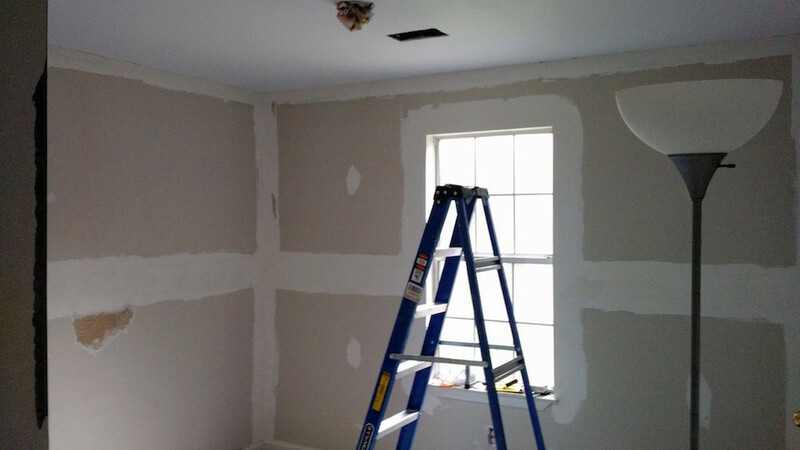 After the ceilings were smoothed, our wall paper literally peeled off the walls! In great, big sheets. So we had to refinish the walls as well. They were painted green, and the trim was given a fresh coat of a brighter white. If you notice that lovely art piece above the bed -- it was painted by my oldest sister when she was in high school of me as a toddler. I adore it, and the creepiness of baby Joy watching over her guests! Oh, and those tables were $11 total. What a steal! !